Back in the late 60s and early 70s when men were men they did macho things like having punch ups, they drank barrels of real ale and could still get up for work next day. They kept their unchanged underpants on for days on end, they smoked cigars, drove fast cars and gambled their pay away. Quite often they went unshaven for weeks. Sadly, modern men are now either mincers, metrosexuals or have allowed themselves to be hen pecked by an overbearing woman. But cheer up my faithfull men friends from around the globe, I'll attempt to release your pent up male pheromones with this GREAT theme tune from John Barry. 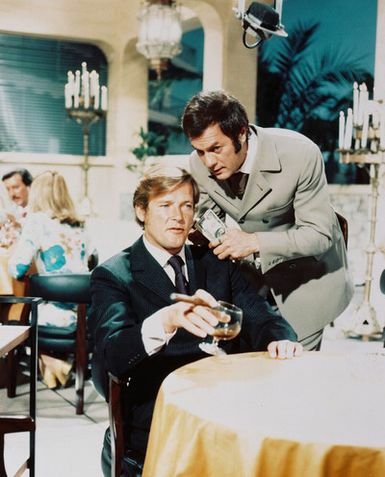 It's from British TV show The Persuaders starring future James Bond, Roger Moore (Lord Brett Sinclair) and Hollywood superstar Tony Curtis (Danny Wilde).. The format of the show was simple: these two International Playboys teamed up to solve cases the courts could not. During their escapades they would bed woman, have some fights, get into some scrapes and bed more woman. Proper bloke stuff in other words. 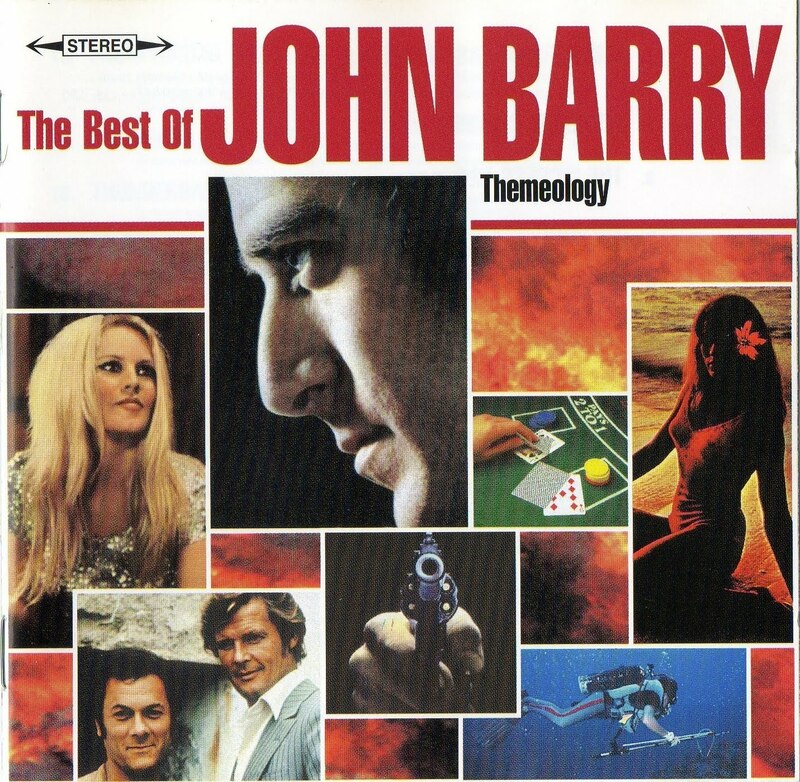 John Barry also delivered the goods with theme tunes for movies such as Midnight Cowboy, The Ipcress File, The Knack and plenty of James Bond highlights. Rule Britannia! Thanks again - this time for a good laugh. You guys!! . . . I don't recall ever seeing an episode of this program. I've the entire series on DVD, check out out John Barry's theme for The Orson Welles Mysteries show. It's like a cousin to The Persuaders theme.